The DV Bass is a state of the art Bass sax mouthpiece, finally. The DV Bass will appeal to the Bass sax player looking for a mouthpiece that gives the Bass sax the quicker and more immediate response of the Tenor sax. The mouthpiece is based on our popular DV model but has several modifications, the most significant being a very deep chamber tuned to the Bass sax and a new feature I’m calling the hyperbolic chamber which rounds out the tone. Here, nature, science and imagination combine to create a revolutionary new saxophone mouthpiece. Jody Espina has designed the JodyJazz DV (U.S. Patent No. 7,470,844) using proportions and principles found in nature. For the most effortless playing experience of your life, we invite you to try the DV Bass. To create the most efficient sax mouthpiece possible. That means that there are more harmonics present in the sound and therefore the projection of this Bass sax mouthpiece is huge. To give a more free blowing experience to the Bass saxophone. To have a big fat mid-range and bottom end while having more clarity of tone than is usually present in Bass sax mouthpieces. Due to the free blowing nature of the DV BASS and all the DV's, be prepared to possibly use a harder reed than you normally do. This may or may not be the case for you. The great benefit of this is that a harder reed lasts longer and a harder reed helps the altissimo range. For this same reason, you may want to try a slightly more open tip than normal as well. The CNC Mill facing curve results in absolutely no dead spots in the vibration of the reed. In other words all notes in all ranges respond equally. This BASS sax mouthpiece has a husky barrel-chested tone big in the bottom end while being able to cut through and be heard while soloing. Sub toning and low notes are extremely easy and the altissimo is out of this world. Intonation is spot on. Be prepared to have possibly the most fun you ever have had on the bass saxophone. We have consulted with the modern makers of bass saxophone and have received unanimous approval and encouragement from them. 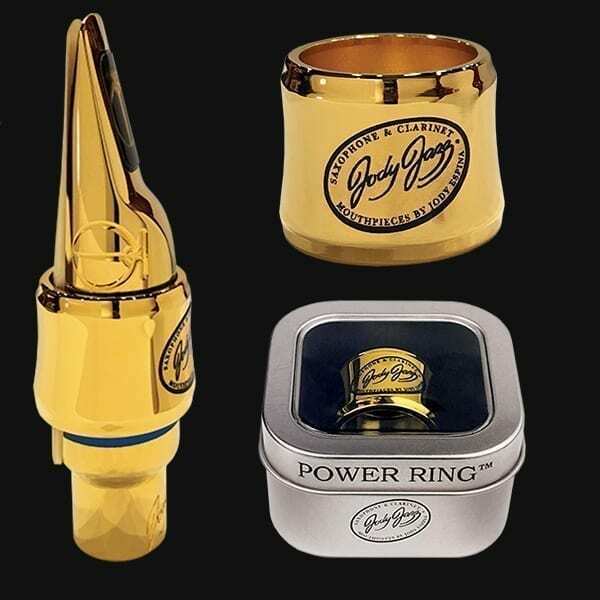 Also owners of vintage horns will love what this mouthpiece does to bring their horn to life. We have had many converts who came from playing the most popular hard rubber Jazz pieces. These players almost always think that they won't like a metal BASS sax mouthpiece and they are surprised every time. All bass saxophone players are amazed to find a BASS saxophone mouthpiece that works so efficiently, where the articulation is clean and one can easily go from low to high and vice versa. The DV BASS is manufactured on the most sophisticated computer controlled Lathes and Mills, yet the DV benefits from a high degree of hand finishing. The attention to detail in design and finishing given to the DV results in a stunning work of art that plays like a dream come true. I wanted to compliment you an express my utmost appreciation for the fine craftmanship of your new DV bass sax mouthpiece that I received on new year's eve. I've been playing on a Mason silver metal mouthpiece with my almost new selmer bass sax, which was a step up from the Selmer and Runyon modified mouthpieces. Kudos to you. I didn't know what to expect since a bass sax metal mouthpiece is a rarity for this esoteric instrument. With your JodyJazz bass sax metal mouthpiece, I played every note in each octave quite smoothly and accurately without any resistance or unwanted effects. Your wonderful mouthpiece will really make the playing of this cumbersome instrument a dream come true. I couldn't be more satisfied with my purchase...worth every penny and more. "I met Jody Espina At the Saxophone Summit and played two of his brand new Jody Jazz DV bass sax mouthpieces. They were superb pieces - the nicest balance of warmth, power, and richness I have yet come across in a modern mainstream-type jazz mouthpiece for bass. Very playable and responsive from bottom to top of the instrument. Even though I don't usually like metal mouthpieces, I am seriously considering purchasing one myself as soon as I can afford it. Thanx so much! The mouthpiece is incredible. 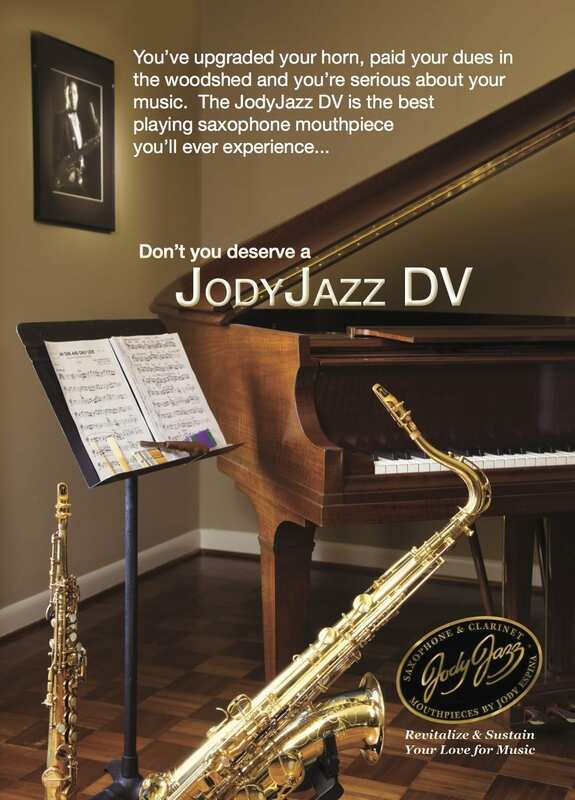 The JodyJazz bass saxophone mouthpiece focuses pitch information and tone quality throughout the entire range of play. Projection is optimum while quiet tones and soft or fast tonguing are also available. I will use it on my solo concert Friday cause it sounds so good I have to play it."